Why test for acoustic noise? Medical: Life critical devices need to have a minimum loudness and frequency range for tones and alarms in order to be heard by doctors, nurses and medical technicians. Sound pressure is the difference in pressure between the instantaneous pressure the audible wave generates and the static pressure of the background environment. This is what your ear actually perceives. The measurement is usually expressed in Pascals or Dynes per square centimeter. Sound power is the sound pressure taken at multiple points through a surface in space (measurement surface). It is the product of the sound pressure and the particle velocity normal to the surface integrated over the surface. This is a measurement of sound energy over time radiating from a source. The measurement is usually expressed in Watts. Some standards dictate measurements be expressed in raw sound pressure, and others in sound power. Sound pressure varies between environments based on background noise and reflections. Sound power is a calculation that tries to eliminate the variations that sound pressure is prone to. 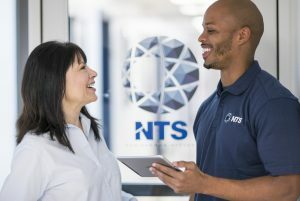 Using the measurement techniques of ISO 3744 and NTS’s semi-anechoic chambers, consistent reliable sound power values are achievable and can be easily used to compare different product configurations, cooling fan vendors and fan speeds. A-weighting is a weighting curve applied to sound pressure measurements that replicates the response of the human ear across the entire audible spectrum from 10 Hz to 20 kHz. Most standards require sound pressure measurements to be A-weighted. Octave bands and 1/3 octave bands subdivide the spectrum into different bands to analyze which frequencies in the spectrum have the most sound pressure content. Some standards require specific octave and 1/3 octave bands (such as those closest to human speech) to have lower sound pressure content than others. 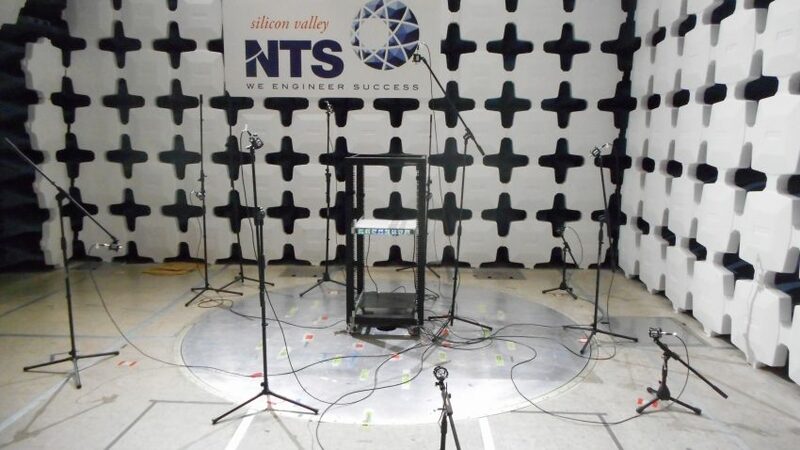 NTS Silicon Valley recently upgraded our acoustic noise data acquisition system from a single microphone to a 10 microphone array. This new setup can capture multiple sound pressure measurements or an entire sound power field instantaneously. 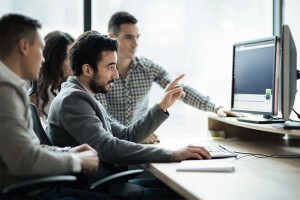 Our customers can now test many different product configurations in a single day long test session allowing faster troubleshooting and ultimately a quicker time to market.